I don’t know about you, but I am sick and tired of these Hallmark Holidays, with these lame social expectations that I have to go out and buy Presidents’ Day cards, write some reverent poetry about George Washington, buy some red, white, and blue flowers (have you seen how the prices skyrocket just before Presidents’ Day? ), and go out to dinner with what seems like 200 million other Americans in honor of their first Commander-In-Chief. And yes, it’s just for him. Look it up. The name of the federal holiday is actually just “Washington’s Birthday.” Seriously. 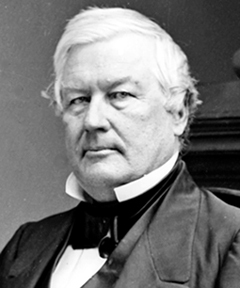 So if you just ponied up $30 for a box full of chocolates shaped like the visage of Millard Fillmore, you may as well just throw them in the trash. Yes, Valentine’s Day. Loved by some, resented by some, lamented by some, pined for by some, and despised by some. Regardless of which camp you fall into, it’s safe to say that there’s a decent amount of emotion wrapped up in February 14th. So why do we get so worked up about it? In a word, Love. Whether you’re happily in it, duty-bound to it, grief-stricken over it, longing for it, or freshly burned by it, we all feel something about love. It’s universal. Deep down, every single person desires love. To love, and even more so, to be loved – for who we are. Indeed, that universal longing is reflected in culture. In fact, I would wager that nothing else in history has been more written about than love (although, thanks to the advent of texting, Facebook, and Twitter, vapid and meaningless crap is quickly gaining ground). Love has inspired stories, poems, music, lyrics, films, drawings, paintings, sculptures, fashions, foods, wars, and even game shows throughout history. 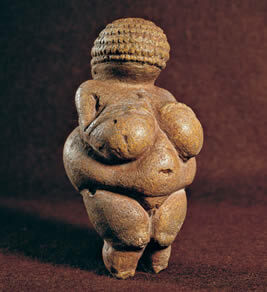 Almost all of world’s oldest sculptures, from as far back as 38,000 years ago, are of voluptuous women. Consider: In the frightening insecurity of nomadic, pre-historic life, while worrying about finding enough food to live another day and stay safe from deadly predators, a man still took the time to carve a well endowed woman out of ivory or stone. That’s crazy! You could explain to me that it was just his biological imperative to reproduce and continue the species, but that doesn’t cut it. He could still be horny and want to mate with a woman without creating an ode to her. That’s not the only mind-boggling evidence of the hold love has on all of us. Did you know that Air Supply has sold over 20,000,000 albums? Love must be some really powerful stuff. In spite of the confusion, it’s obvious that both Pauls (and Captain Stubing) believe love is pretty much the be all and end all of life. What’s really interesting is that for all the thought that people have given to love over the years, it remains very much a mystery. Amazing advancements in neuroscience and brain chemistry can tell us about different brainwaves, which parts of the brain are used and not used, and which hormones and chemicals are released at different times. I can remember the experience of dating my wife. She’s all I thought about when we were apart; I could not get my mind off of her. Just the sight of her would send my heart racing. Every night, we stayed up soooo late talking, either in person or by phone, that we should have collapsed from exhaustion. But we didn’t, mainly because being in love is much like being on meth, just with better looking teeth. Science can observe some symptoms of love, but it cannot explain where that love comes from in the first place. 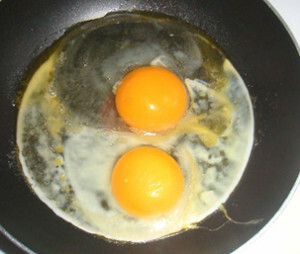 Seeing physiological effects of love in no way solves the mystery of love, or its origins. And most of the symptoms science can report on are reactions to attraction – the infatuation and lust of romantic love – and not to the deeper, selfless, sacrificial, there is nothing I would not do for you kind of love that makes great relationships great. That kind of love requires serious sacrifice, and that flies in the face of our human nature of conceited self-preservation. Biologically speaking, we want to live as long as possible. Survival. Me first. I can get another mate. I can breed more offspring. I just need to stay alive. Yet real love, selfless love, compels us to sacrifice. To take pleasure in pleasing others. To give up our desires for someone else’s. To forego our needs to meet those of another. Even to lay down our lives so that others may live. Romantic love, chemically speaking, is very much like a drug addiction, and can make you act out of your mind. And selfless love goes against our very nature as humans. Based on that, there is nothing rational, logical, or reasonable about either kind of love. I always thought people who were in very serious, committed relationships or marriages were insane. I had never experienced love like that before, though I tried, so I figured it didn’t exist, and the people who embraced it were either emotionally unstable or mentally deluded. What first struck me about his words was just how much they sounded like an atheist describing a person of faith. Believers are weak, or delusional, or emotionally damaged, or irrational, or all of those at once. They have to be if they believe in an imaginary sky fairy. My friend Pythagorus essentially said the same about lovers. It turns out he was wrong. In a matter of days, he went from that view point to understanding what it felt like to be willing to give up anything and everything in order to spend the rest of his life loving and living for somebody else. See, you can’t explain love – let alone prove love – to a cynic. It is deeply personal, and in the end, internal, as only you know the motives of your own heart. In order to understand love one has to experience love. And when you experience love, it’s hard not to get lost in love. 2000 years ago, He sent you a Valentine so you would know the depths of His love for you. 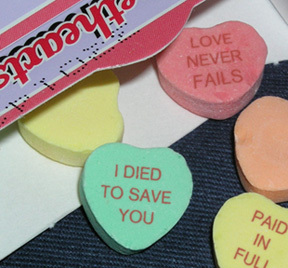 He sent you a Valentine and He nailed it to a cross. And He planted it in your heart so His love would grow within you and romance you back to Him. Whether we are in a relationship, divorced, widowed, or painfully single, we are already loved more than we could ever think possible. So we need to stop making Valentine’s Day about the romantic love we can get, and make it about the sacrificial love we can give. We need to stop waiting for love and looking for love, and just go out and love. Love selflessly and recklessly, love with abandon, because our hearts are already safe and secure in God’s love for us. His love changed the world. And so can yours.